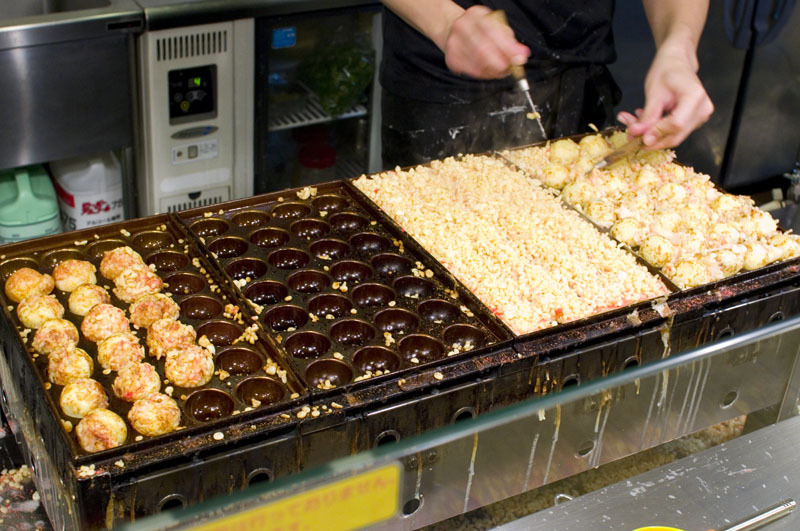 Juhachiban set themselves apart from the other shops in Daiba's popular takoyaki theme park with their pleasantly crunchy shell, made by using harder-than-average tenkasu (bits of tempura-fried batter) in the takoyaki batter. Among the variations here is a simple salt and toasted nori version that really brings out the flavor of the octopus filling. 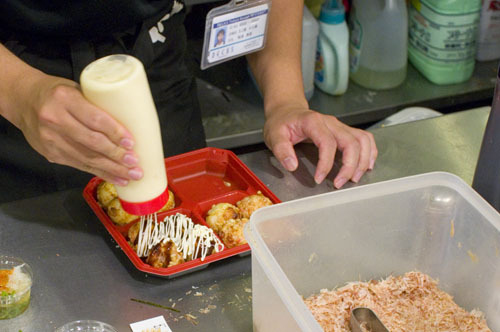 The regular version is also better quite nice, with a slightly tart sauce. 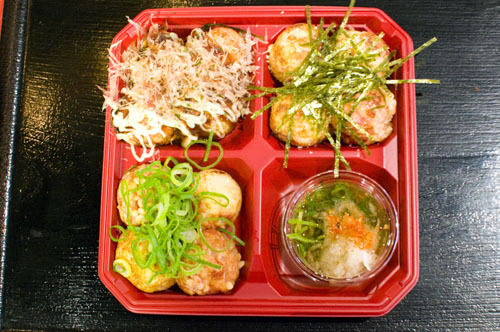 Sampler sets of two, three and four types of takoyaki are available; a three-part assortment is Y840. English menu available. Minato-ku, Daiba 1-6-1, Decks Tokyo Beach Seaside Mall 4F.